There’s a Spanish proverb that promises, “With wine and hope, anything is possible.” In the Cape winelands, there is wine in abundance, and there’s also mild Mediterranean-type weather, gobsmackingly beautiful scenery, and a plethora of sumptuous hotels and lodges, some on magnificent wine estates where fine wines are produced and the sensuous pleasures of good living liberally uncorked. 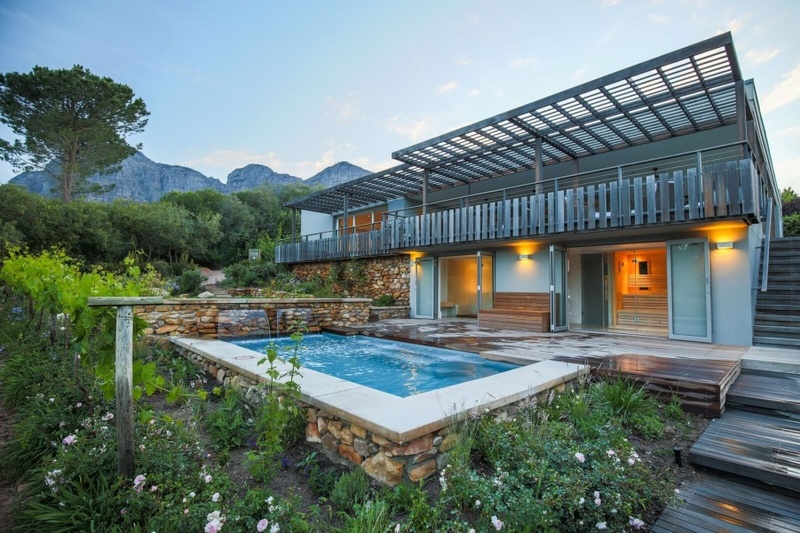 We hope you enjoy our choice of high-end romantic getaways in the Cape winelands. Just outside Wellington, Grand Dedale Country House is an exclusive, five-star manor set on a wine farm at the foot of the fantastically scenic Bain’s Kloof Pass. Enjoy splendid accommodation, soothing scenery and spa treatments. Dine well and savour the award-winning wines produced on site. 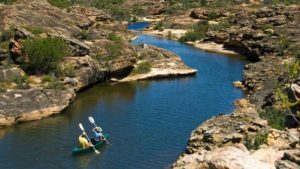 Check Availability and Rates. 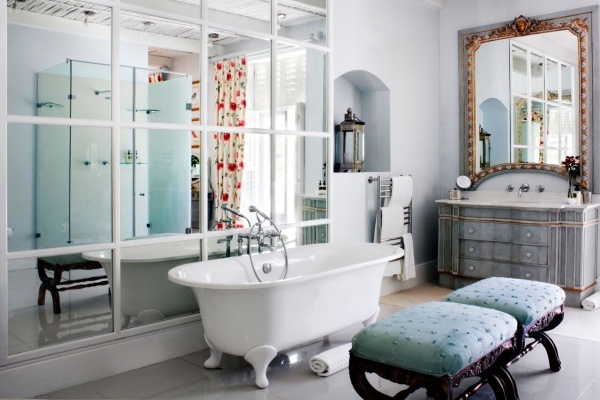 Val du Charron is a wine and olive estate in Wellington that provides four- and five-star accommodation. The five-star suites at Val du Charron Coach House are large and luxurious, each with its own verandah and plunge pool. Views of the surrounding vineyards are exquisite. Check Availability and Rates. Val du Charron Guesthouse offers four-star accommodation on the same estate, in eight luxury suites. Check Availability and Rates. La Clé des Montagnes is an exclusive winelands sanctuary accommodating guests in four distinctive villas on a working wine estate. 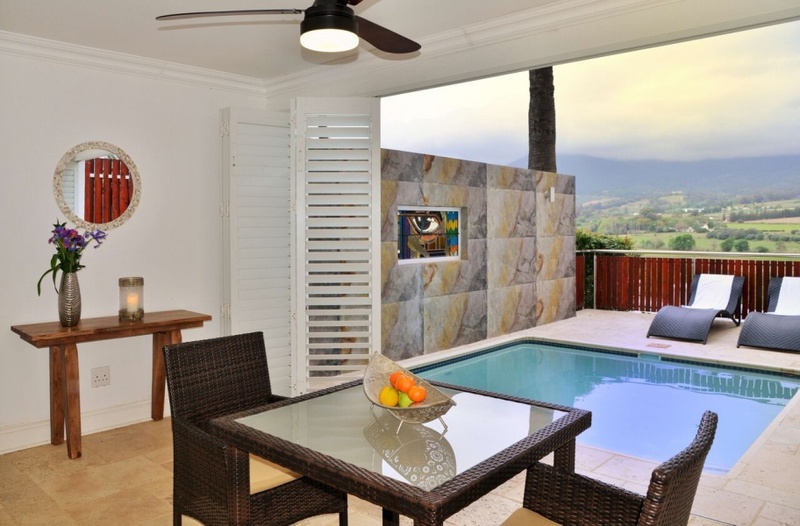 Each villa has two, three or four bedrooms, plus private garden and swimming pool. The surroundings are captivating. Check Availability and Rates. 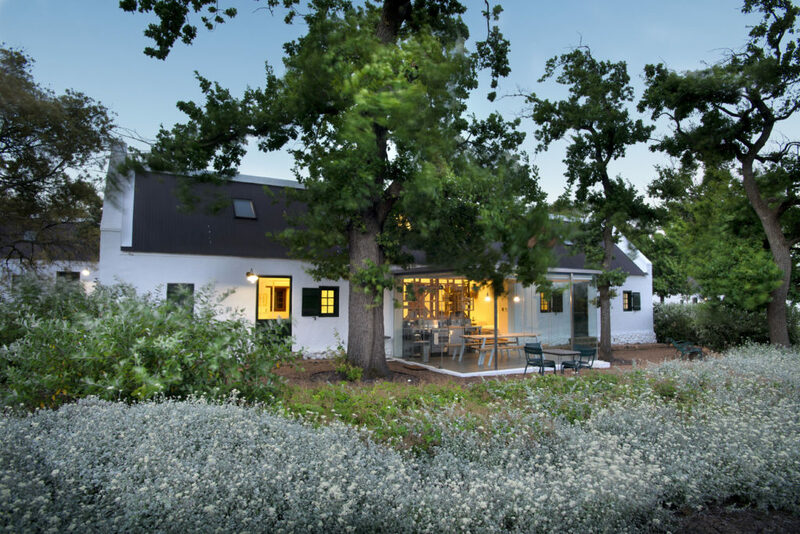 Babylonstoren is a piece of heaven on earth – an old Cape wine estate and sophisticated farm hotel offering top-luxury accommodation, fabulous wining and dining, and a state-of-the-art spa and gym. The incredible garden at Babylonstoren draws admirers from afar and can be explored with a guide daily. Enquire. As Sir Richard’s Branson’s own vineyard in the Cape Winelands, Mont Rochelle needs little introduction. 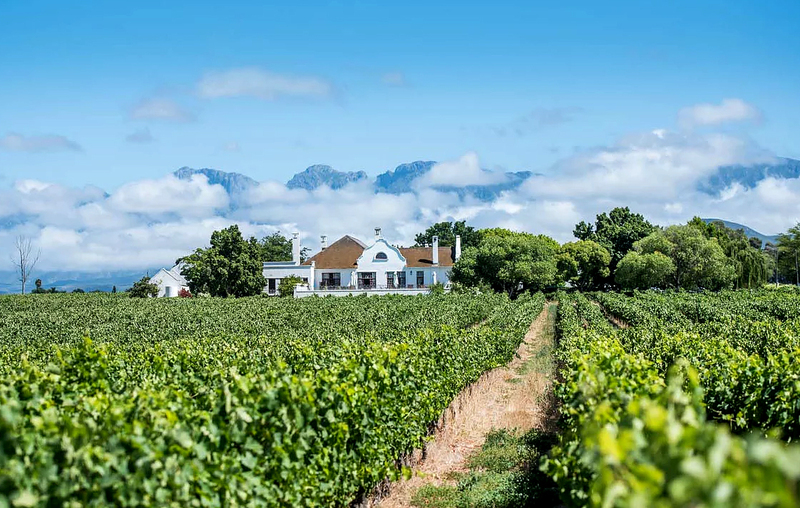 Positioned in the lap of the fertile Franschhoek wine growing valley, the hotel offers a superlative stay, vineyard walks, tours of its cellars, and gratifying wining and dining. Enquire. Angala Boutique Hotel & Guest House basks on the slopes of the Simonsberg Mountains in the wine farming area of Franschhoek. This is peaceful wine country, where views are majestic and life luxurious. The hotel has various accommodation offerings, including very private luxury cottages offering everything one could wish for. Check Availability and Rates. Lanzerac Hotel & Spa is a gorgeous five-star hotel complex on one of South Africa’s most prestigious wine estates. A stay at Lanzerac is a sumptuous experience incorporating luxury accommodation, fine food and wines under the oaks, spa indulgences and a wonderful outdoor lifestyle in an area where the weather is often temperate. Enquire. 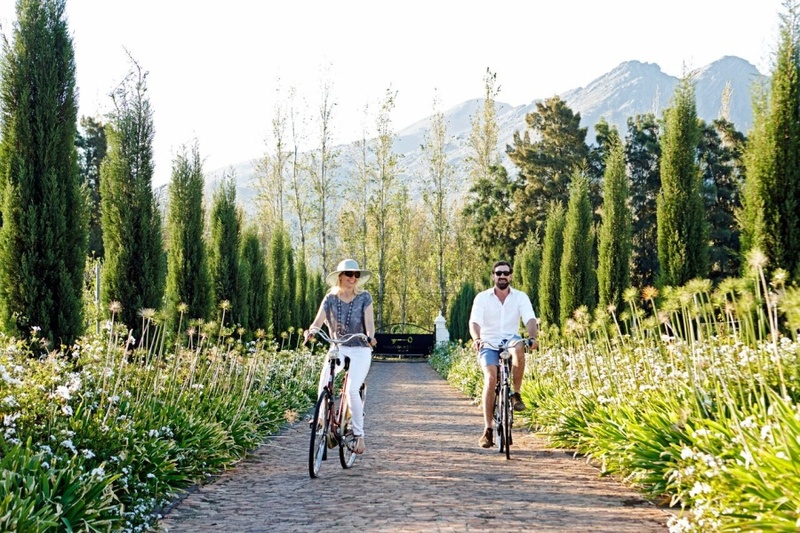 Delaire Graff Lodges & Spa have pride of place up on the Helshoogte Pass just outside the town of Stellenbosch. This is a wine estate and hotel of pre-eminence, providing opulent accommodation in ten spacious and very private lodges, along with all the splendours of a top-ranking wine and lifestyle destination. Award-winning restaurants on the Delaire estate offer outstanding dining experiences. Enquire. The picturesque Robertson Wine Valley creates a perfectly beautiful setting for Excelsior Manor Guesthouse, situated on a working wine farm. 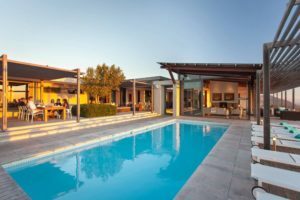 Enjoy a tranquil and elegant stay, taste Excelsior wines and explore the farm. One of the highlights here is creating your own personal blend of wine as a take-home! Check Availability and Rates. 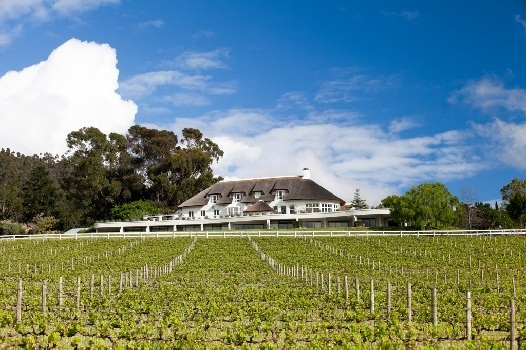 The five-star Relais & Chateaux Cellars-Hohenort Hotel stands in the flourishing wine-producing basin of the Constantia Valley. 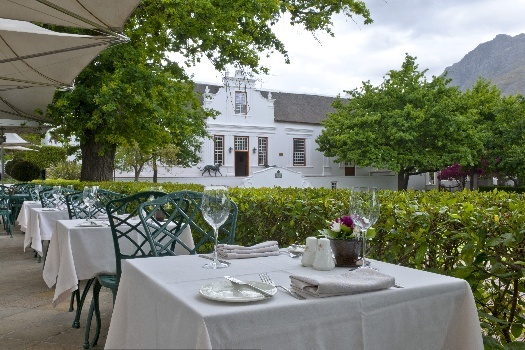 The Cellars-Hohenort is a superlative integration of the finest lodgings, stellar dining events, serene wellbeing experiences and impeccably warm and friendly hospitality. The long history of this prestigious estate includes wine production, and the establishment continues to produce a limited amount annually of its own distinctive wine. 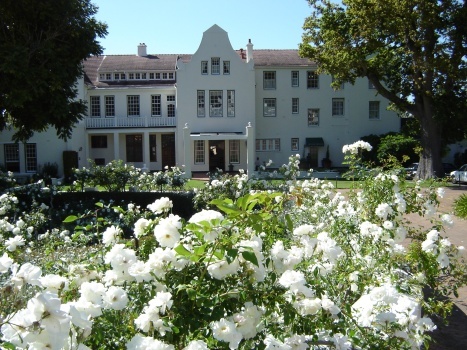 Explore the beautiful gardens and several wine estates in the vicinity. Enquire. 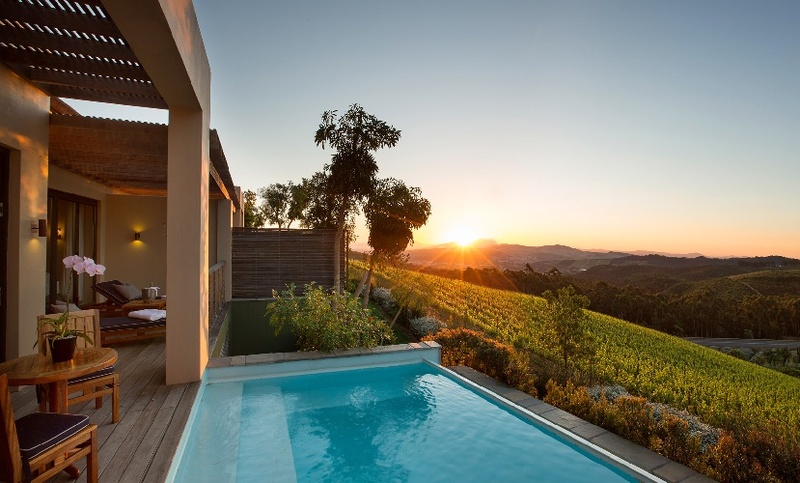 See our full selection of hotels in the Cape winelands. Mail us or call +27 21 797 7122 (international) or 0860 102 907 (local) for information and bookings at these and other luxury lodges in South Africa.